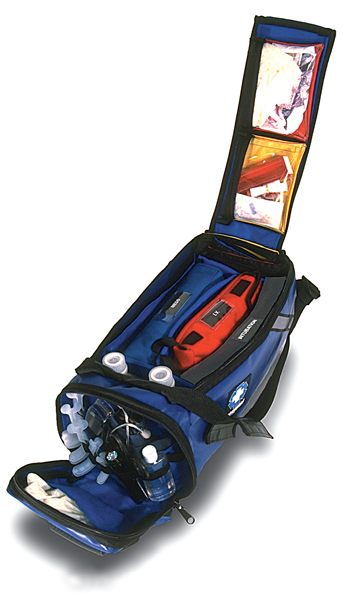 The main pocket opens via our "speed zip" system to reveal six divided compartments that are compatible with our intubation kit, drug kit, and insulated I.V. kits. Inside the lid are two zippered window pockets that are color coordinated and removable for ease of use.